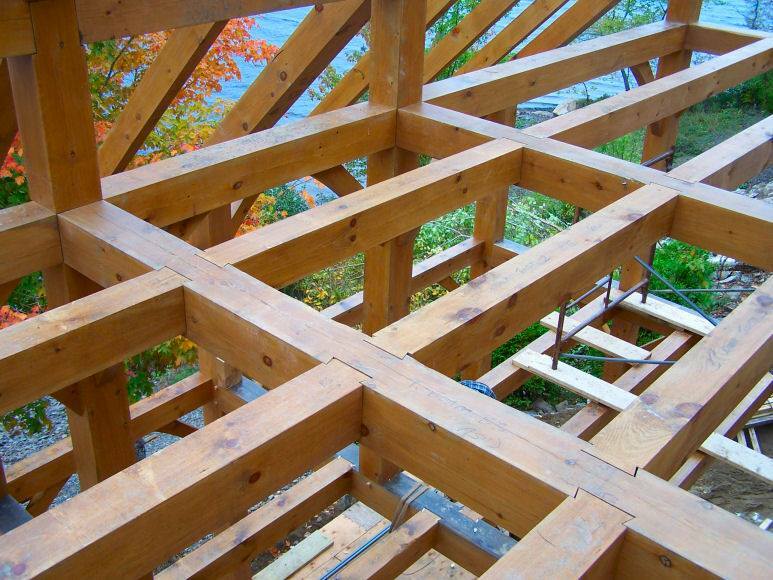 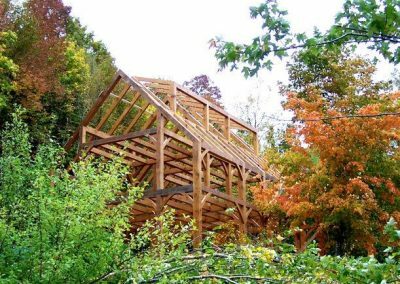 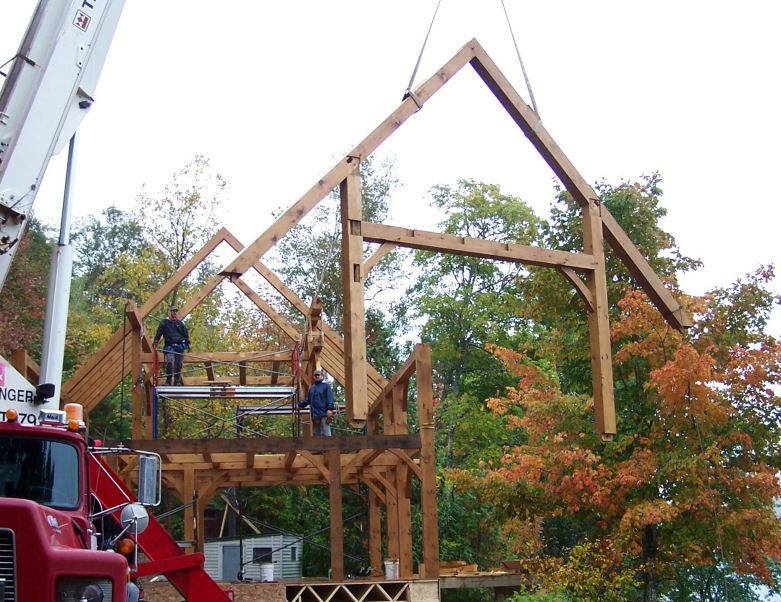 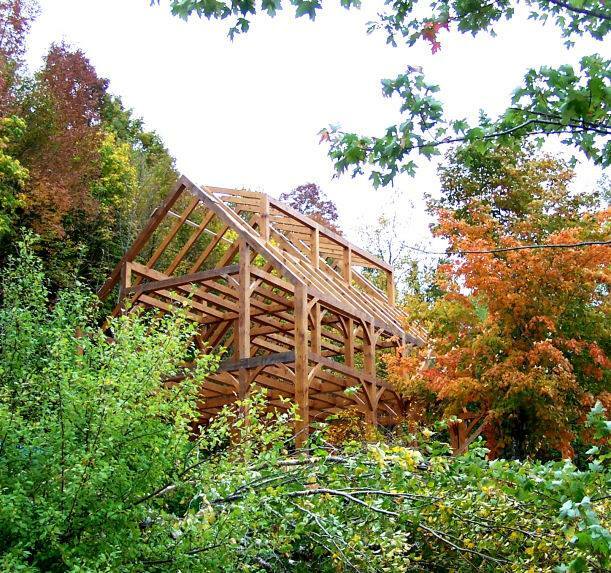 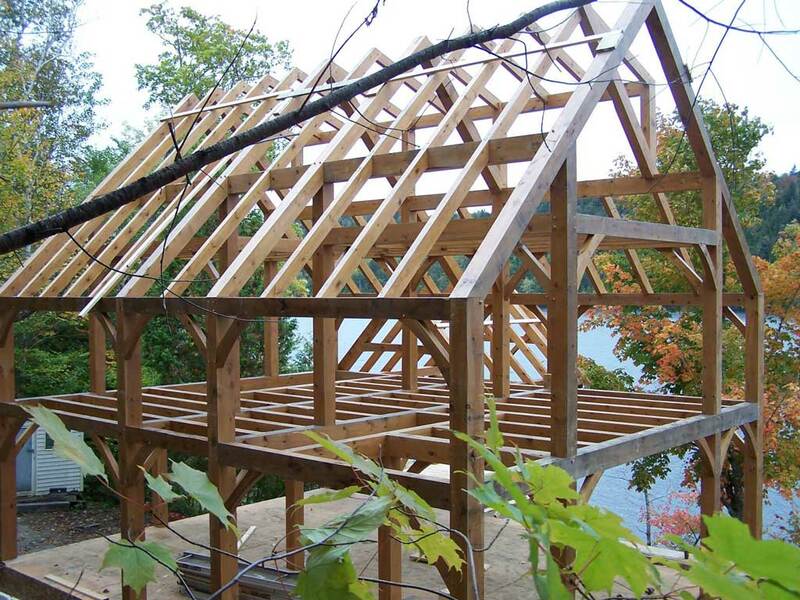 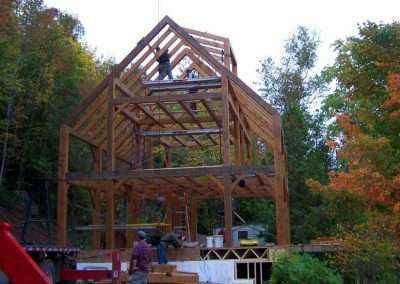 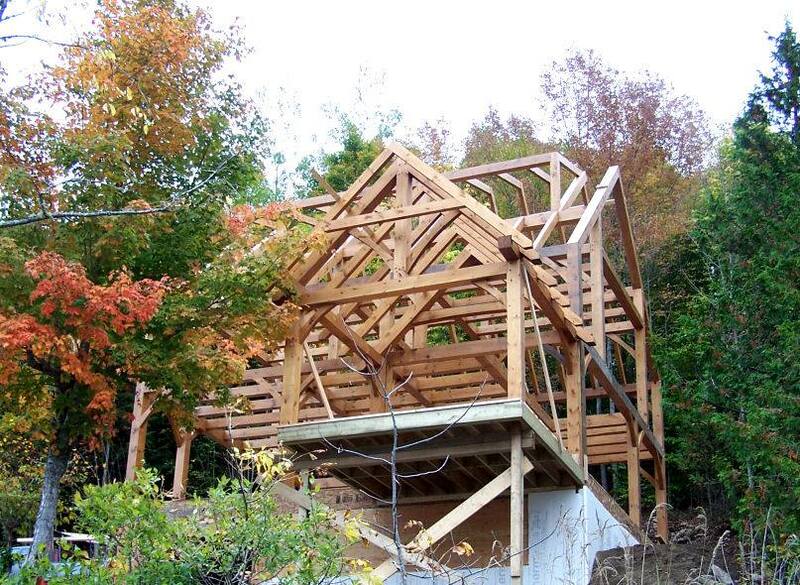 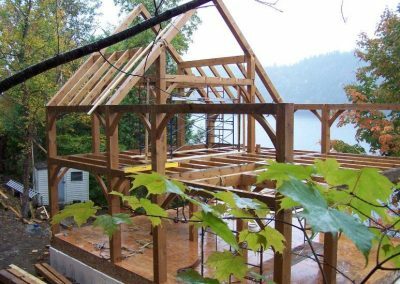 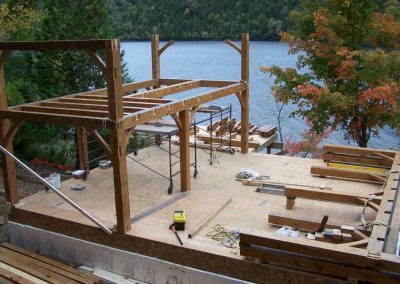 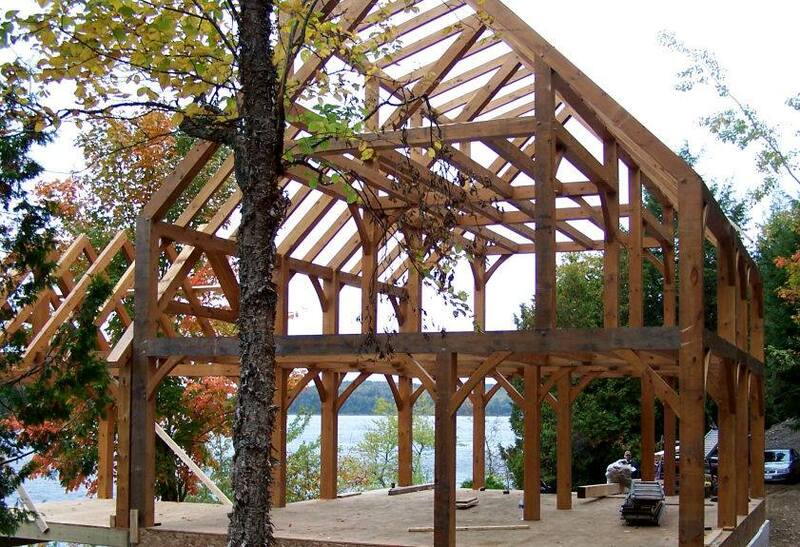 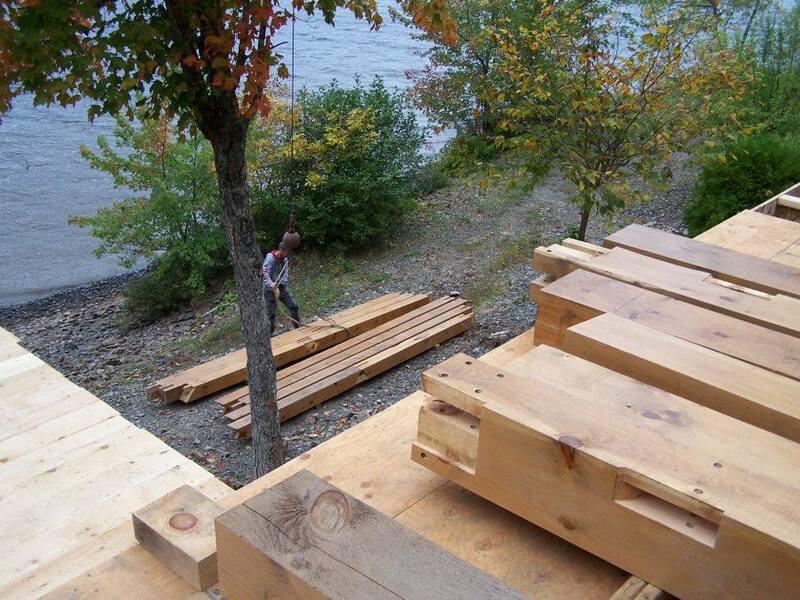 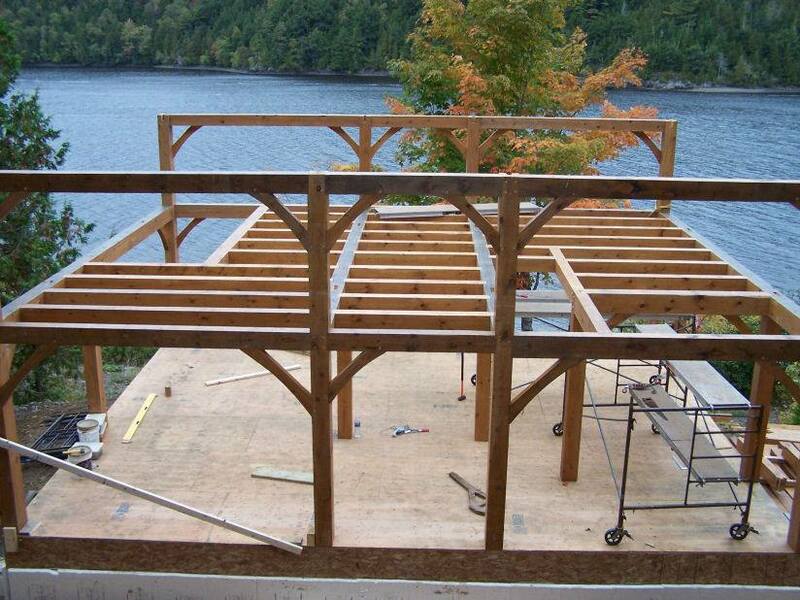 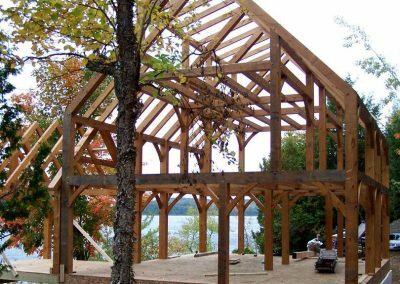 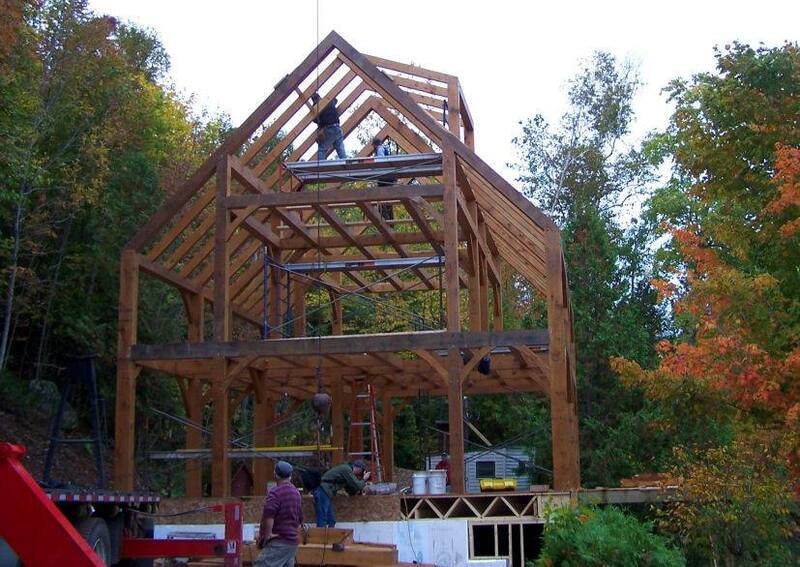 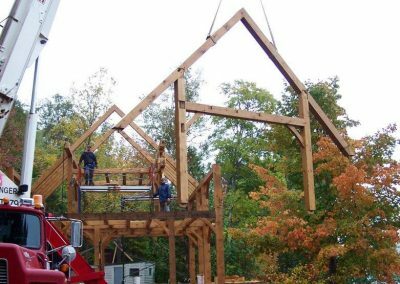 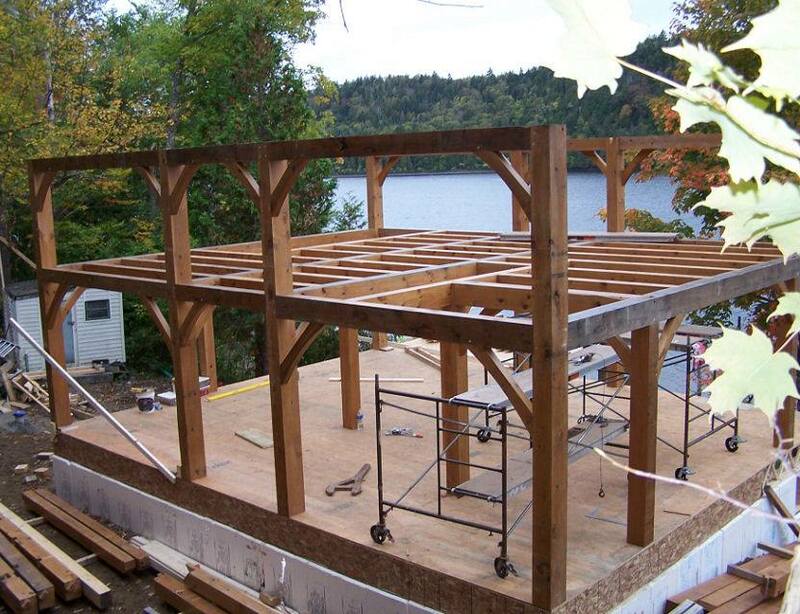 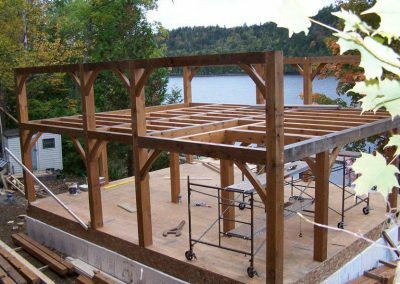 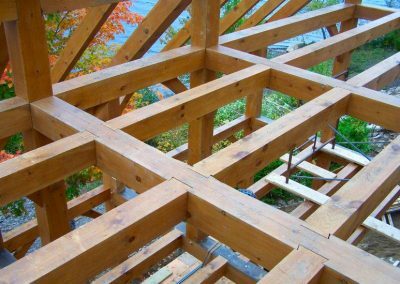 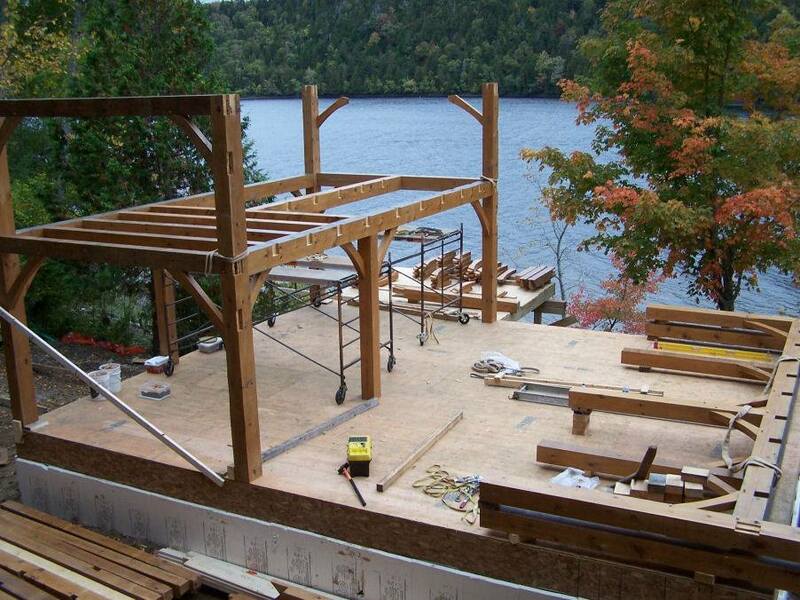 A full timber frame house in an idyllic location, on the Kingston Peninsula near Saint John, New Brunswick. 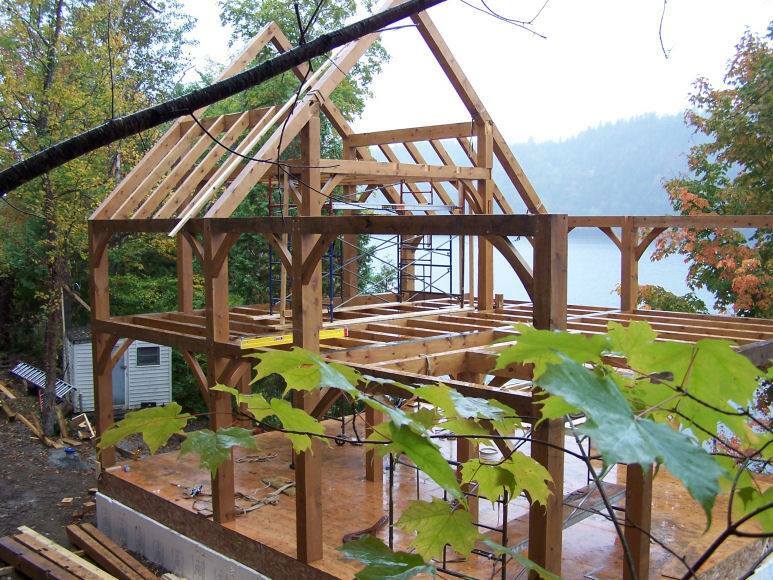 Note the full-timbered garret dormer on the side overlooking the river, the dovetailed floor joists, and the porch extension hanging on the river side, to be screened in. 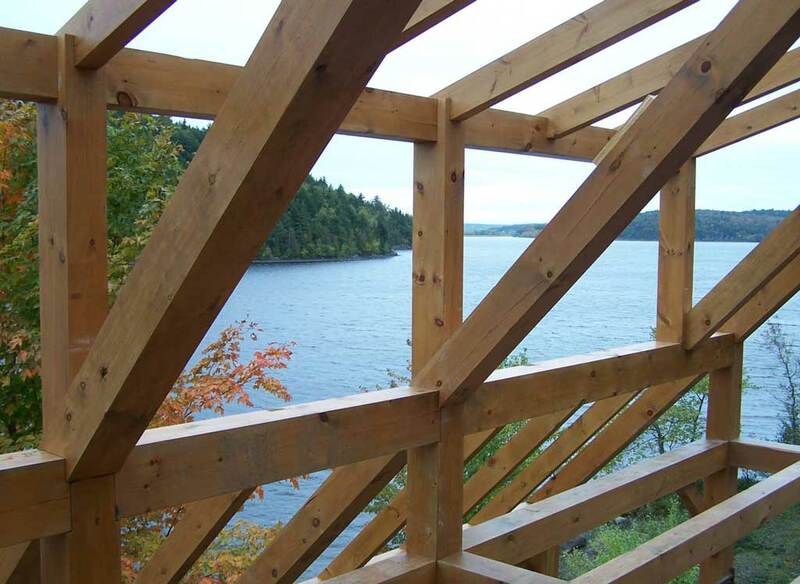 It blends beautifully with the scenery.